Exchange between Diamond Platnumz ex-lover Zari Hassan and new catch Tanasha Donna seems like a thing that will live for sometime and will keep entertaining fans. The two ladies have been exchanging subliminal shots on social media trying to prove they are better for Diamond. 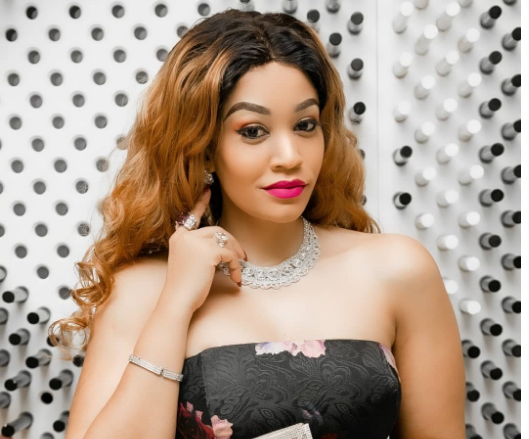 Zari recently took to social media to claim that even though Diamond has gone for a younger, fresher Tanasha, he should know that she can’t be able to replace her. “My shoes are either too big to fill or too small to fit,” she wrote on Instagram. Tanasha, who is planning to get married to the singer soon and has even already met his parents, also had a cunning reply for Zari after her status update. Tanasha urged Zari to chill out if she’s confident enough that she’s irreplaceable. ”True confidence has no room for jealousy. When you know you are great, you have no reason to hate. Watajua hawajui,” she wrote. Well, it seems fans are the ones who are benefiting from these free dramas from the two so they should just sit back and enjoy.